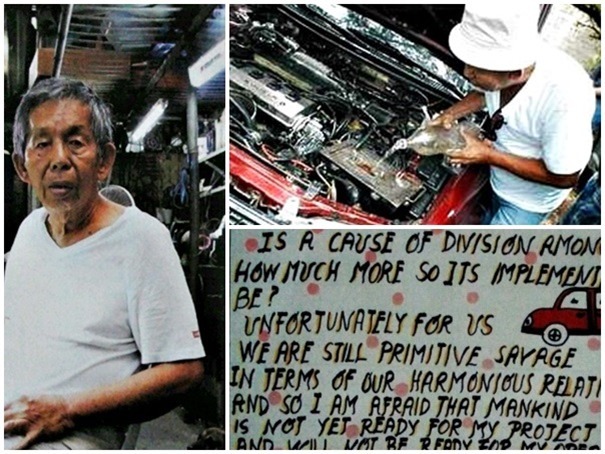 Did A Filipino Engineer Really Invent Water Powered Cars? Technology Did A Filipino Engineer Really Invent Water Powered Cars? Water powered cars have the potential to disrupt the global economy that is mostly run by oil. There are many people who claimed to have invented a vehicle that runs purely on water. One of them is the Filipino engineer and inventor named Daniel Dingel. Did he really invent a water the powered car? Or is he a fraud? It said that Daniel Dingel's water powered car design is very similar to the ones designed by Stanley Meyer, an American inventor who died under mysterious circumstances because of his invention. Daniel Dingel claimed to convert at least 100 cars that run on water and a little bit of gasoline to start it. Many people dismissed his inventions as a fraud. And he faced legal disputes over his lifetime. A Taiwanese firm gave funds to Mr. Dingel and he allegedly embezzled most of it. Is he really an innovator? or a fraud? only time will tell.